We can’t wait to see your ideas! Login to the WUSS submission system. 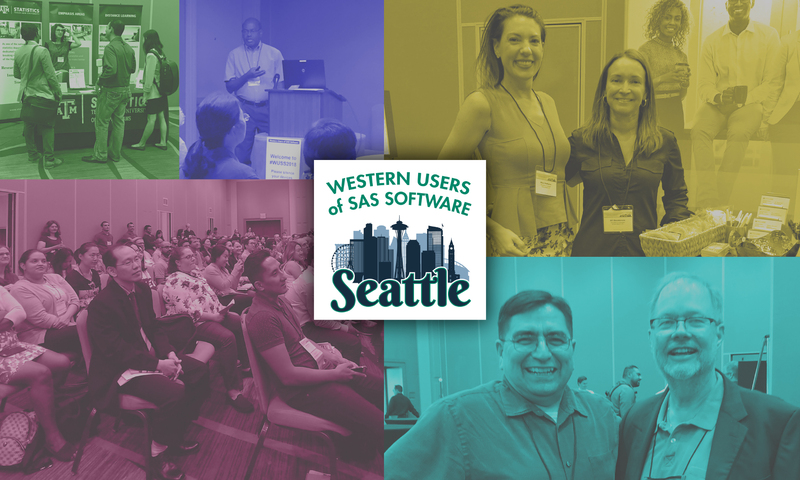 Presenting a paper at WUSS is a great way to deepen your own technical skills, connect with the larger statistical programming community, and gain recognition for yourself and your organization. If you are programming, doing statistical analyses, or administering SAS tools, you’ve probably learned something that could benefit others. Come and share that learning at WUSS 2019! We’d love to see you. If you have any questions, please contact the academic chair, Hunter Glanz. Below is the essential information to guide you as you create your paper and prepare your presentation or e-poster. If you know much of this information already, feel free to go directly to the Presenter Resources page. Your proposal will need to include a paper title of no more than 250 characters and a summary (abstract) of no more than 250 words. You will also be asked to provide the name of each author along with each author’s affiliation (such as company or university), email address, and a short biography of no more than 75 words. Biographies should be written in the third person. There are several ways to present: 50-minute papers, 20-minute papers, 10-minute papers, and e-posters. There will be several concurrent sections or presentation tracks at the conference. The final list of sections is not yet determined and will depend on what proposals are submitted and accepted. For your proposed paper, the title, abstract, working draft (if provided), and categories that you select to describe your paper will help our reviewers decide which section would be appropriate. If we are in doubt as to the best choice, we will talk to you. Every presentation requires the submission of a paper. These papers will be published as part of the official Conference Proceedings at the WUSS website. To meet the expectations for publication in the Proceedings, please refer to the WUSS 2019 Submission Guidelines, Paper Template, and other tools available in our Presenter Resources. For e-poster submissions, papers are optional. Authors are required to follow guidelines and deadlines as described in the Submission Guidelines on our Presenter Resources page. If any of these guidelines or deadlines are not met, WUSS reserves the right to remove the abstract and presentation from the conference schedule and exclude the paper form the conference proceedings. Submit the Copyright Grant Form signed by all authors on or before July 19, 2019. Submit a final paper in PDF format consistent with the WUSS Submission Guidelines by July 19, 2019. Register for the conference on or before the early registration deadline of August 6, 2019. Early registration opens on June 20, 2019. Be available to present your paper at any point during the conference from 1:00pm Wednesday (September 4, 2019) through noon on Friday (September 6, 2019). Due to the complexity of the scheduling process, we may be unable to accommodate special requests. Make your travel plans accordingly. Are you writing your first paper? Would you like a little help from an experienced presenter? We have mentors who can help you! Just ask our Mentoring Coordinator, Bill Coar.